Summer is all about easy, no-fuss meals that don't require turning on the oven. And that's exactly what you'll get with this Mason jar layered quinoa salad. 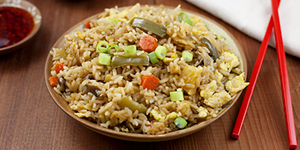 Filled with a variety of healthy foods, they are perfect for on-the-go lunches and dinners. Food prepared in Mason jars is great for meals on the go. Not only are they easy to transport, but they don't require a lot of cooking or cleaning. And that's exactly what we love in the summer months. 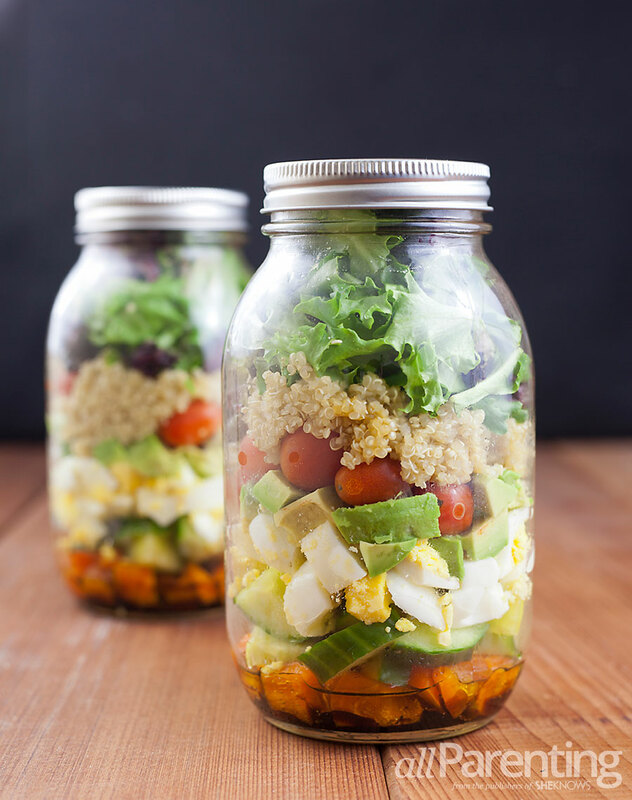 For these Mason jar layered quinoa salads, the ingredients can be tweaked as needed based on what you have in the fridge, but you should pay attention to the order of items placed in the jar. Dressings always go on the bottom and greens typically somewhere near the top. For more information on creating Mason jar salads, check out this article from The Kitchn on how to pack the perfect salad in a jar. Combine olive oil, balsamic vinegar and fresh cracked black pepper in a small bowl and stir to combine. Divide evenly between 2 quart-size Mason jars (preferably wide mouth jars if you can find them). The amount of dressing can be adjusted up or down depending on how much you like in your salad. Divide the rest of the ingredients and add to the quart-size Mason jars in the order given. Seal with the lid and store in the refrigerator until ready to eat. When ready to enjoy, shake the Mason jars to distribute the dressing and then pour into a bowl to eat. Enjoy! For more Mason jar recipes, check out these Mason jar layered salads, Mason jar tortilla soup and Mason jar breakfast parfait.